The 12 villages that make up the Amajingqi Traditional Authotity have a stake in Amajingqi Macadamia Farming and duly represented by Chief Ngwenyathi Dumalisile. East Cape Macadamia is the other shareholder in the operating company. As the Chairperson of Amajingqi Macadamia Farming, Chief Ngwenyathi Dumalisile is the ruling/inaugurated Chief of the region in which AMF operates in. Fondly known as Tshawe, Chief Ngwenyathi Dumalisile is the inaugurated Chief of the Amajingqi Traditional Council. The macadamia operation is aligned to the Chief’s Industrialisation Strategy, Kulo-Jingqi, aimed at turning Amajingqi into a self-reliant and sustainable community. He holds a BA Law from Walter Sisulu University and diplomas in Business Management and Retail Marketing from the University of Witwatersrand. He is a member of Congress of Traditional Leaders of South Africa, and on the boards of Indibano to Harvest & Shekinah Developmental Networks. 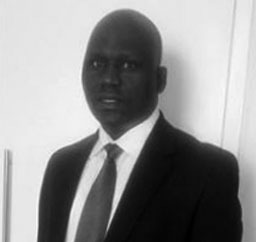 Lonwabo Dumalisile is a practising attorney at Mantyi Attorneys based in Mthatha. 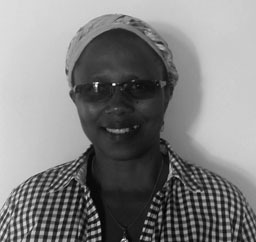 Dumalisile holds a Bachelor of Arts Degree (University of the Transkei), Bachelor of Law Degree (Walter Sisulu University), and a Practical Legal Training Certificate (School of Legal Practice, Durban). Office Supervisor of the Amajingqi Investment Trust. 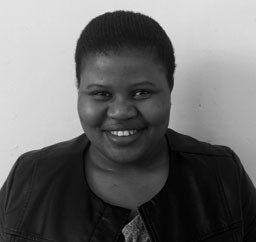 Office Supervisor of the Amajingqi Investment Trust, Sithembile Manyela main role is to identify and employ youth from the Amajingqi community. She holds a Post Matric Certificate in Basic Nursing. Noxolisile Nqonji serves on the Amajingqi Investment Trust Finance Committee. Now serving on the Amajingqi Investment Trust Finance Committee, Noxolisile Nqonji has worked as the senior administration clerk where her roles were administration and management of the traditional council’s activities. Over a 20-year period, Mkululi Pakade established several successful companies from the ground up and built them into formidable brands. Pakade’s investment portfolio includes shareholding at Kula Development and Business Solutions (management consulting), Lukhozi Consulting Engineers (engineering), PMN Property Trust (commercial properties), Lukhanji Leisure (casino and hotels), Ncera Macadamia Farming (agro processing) and Ikusasa Green (manufacturing). Pakade has a BSc Honours Degree in Development Studies, and several diplomas in Business Management; Project Management; Management Practice and Higher Education. 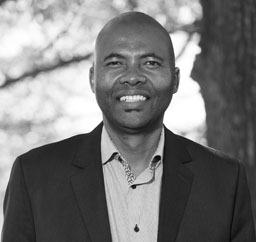 Chuma Sangqu brings a wealth of experience in integrated sustainable development, particularly stakeholder management and community facilitation in the development space. 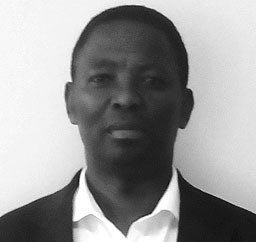 Having been an executive manager for investment promotion and stakeholder relations at AsgiSA Eastern Cape (now part of Eastern Cape Rural Development Initiative), he was responsible for ensuring that all a range of stakeholder networks were recognised partners in the agency’s agriarian reform projects. 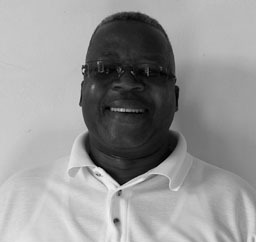 As manager at Ntinga OR Tambo Development Agency, he was responsible for the implementation of an integrated sustainable rural development programme for the region. He also worked for the Commission on Restitution of Land Rights where gained an in-depth understanding of land reform issues. Advocate Mncedisi Simoyi has been a practicing attorney since being admitted as an Advocate of the High Court of South Africa 15 years ago. The former defence officer of the South African Police Service, Adv Simoyi was also a panellist in the Education Labour Relations Council and Public Service Co-ordinating Bargaining Council. 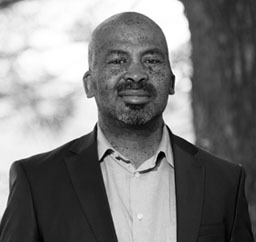 He holds memberships with the Port Elizabeth Bar and Eastern Cape Society of Advocates, Advocates for Transformation (including Executive Committee of the Bhisho Branch), Black Lawyers Association, Society of South African Labour Lawyers, and African National Congress Progressive Business Forum. Trevor Simpson’s role in South Africa’s macadamia industry has earned him an honorary life membership of the Southern African Macadamia Association (SAMAC). 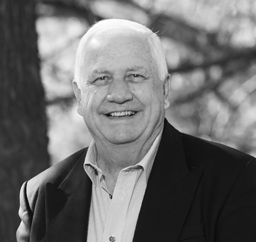 He is former Chairman of SAMAC and boasts 43 years’ experience. He was at the helm of the Agriqwest Group with its 400-hectare macadamia estate considered to be the largest in the world at the time. 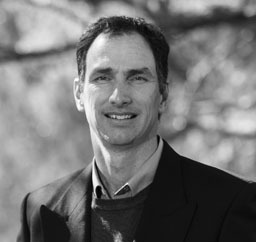 Currently at the forefront of the Eastern Cape’s emerging macadamia industry, Simpson is the strategic planner at the Ncera Macadamia Project, Chairperson of the TGK Farming Group and Etraco; and sits on the board of Profert Eastern Cape and Quality Express. As director of the TGK Farming Group, he was instrumental in the successful establishment of macadamia and banana operations and a macadamia processing facility in KwaZulu Natal. The former Chairperson at the Southern Natal Macadamia Association is now a director of TGK Farming Group with a stake Ncera Macadamia Farming, as well as CMG and Quality Express. He holds a BSc Agriculture Honours Degree from the University of Natal. Simpson has developed the respect of the farming community for his integrity, hard work and very high standard of field work in macadamia and banana production. Kolekile Sitshaka is the Chairperson of the Amajingqi Investment Trust, a role which seen him being the one of the custodians of the community’s stake in Amajingqi Macadamia Farming. 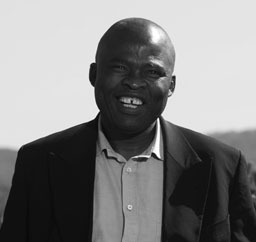 Currently Chairperson of the Amajingqi Investment Trust, Sitshaka runs a successful transport business in the Mthatha area and has been the Deputy Chairperson of the Mthatha Taxi Association for a five-year period. He also has 20 years’ experience in Correctional Services.